Facebook founder Mark Zuckerberg hosted his first ever public question-and-answer session last week. 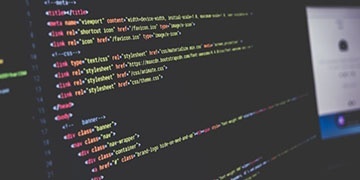 He spent just over an hour at the company's headquarters in Menlo Park, California, answering several pre-submitted questions that varied both in subject and seriousness. One of the session's most memorable (and most Facebook-specific) questions was: "Why did you force us to install Facebook Messenger?" Zuckerberg conceded that this was a rather big ask, but defended the decision, saying that "on mobile, each app really can focus on doing one thing well." Last month an unannounced payments feature was discovered on the Facebook Messenger app, and it appeared to allow users to instantly and securely send money to friends. 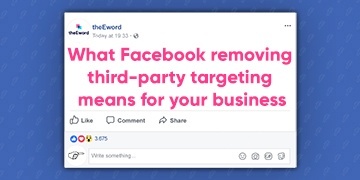 Zuckerberg was asked why organic reach is declining, and said that this is simply because more content is being shared each day, and therefore there is more competition for spots on news feeds. "I really want to clear my life, to make it so that I have to make as few decisions as possible, about anything except how to best serve this community. I feel like I'm not doing my job if I spend any of my energy on things that are silly or frivolous." When asked how accurate David Fincher's The Social Network is, Zuckerberg said it is a heavily embellished dramatisation of the company's beginnings. He said a more exact portrayal would have been him "sitting at a computer coding for two hours straight", but admitted that this would not have made for a very interesting film. 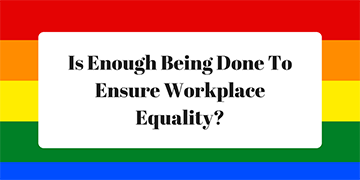 Is Enough Being Done To Ensure Workplace Equality?